Posted by StrategicGrowth in local marketing strategies, location-based technology, marketing strategies, Marketing-changing technology, Mobile Marketing, Social Media, Virtual Technology. Posted by StrategicGrowth in marketing strategies, mobile, Mobile Marketing. Realize that mobile marketing is just like any other marketing medium you will be using as part of your complete marketing strategy; fit your mobile marketing initiatives into the overall marketing strategy and set specific goals for the mobile marketing elements so their effectiveness can be measured, just as you would for every other medium being used. Integrate the mobile ‘call-to-action’ across the marketing mix to ensure an integrated marketing strategy. Understand that your use of mobile marketing legally requires you to get consumers to ‘opt-in’ and that a marketing strategy should provide an incentive for them to do so in order to maximize the effectiveness of the mobile medium. Keep it simple! Think about ease-of-use for consumers; if it’s difficult to engage with your marketing strategy, they won’t. Mobile technology is very easy to use, but some marketers tend to over-complicate it for consumers. Remember to keep to the basics. Be creative! Design the marketing campaign to maximize brand interaction, immersion and brand awareness; mobile marketing technologies provide a wide variety of options for encouraging consumer interaction with your brand. Whenever possible, find ways to leverage the use of SMS (texting) since most mobile devices built in the last few years are text-enabled (and it doesn’t require the use of a higher-end smartphone) therefore it will maximize your ability to reach the largest possible target audience with your marketing message since virtually every phone can send and receive text messages. Make sure to educate and prepare your customer-facing employees so they understand how the mobile campaign will work and they can effectively interact with customers; get your employees ‘buy-in’ by getting them excited about the mobile aspects of the campaign – employees love to be involved with ‘cool’ and progressive technologies. Posted by StrategicGrowth in Social Media, Twitter. And yet another example of a business who would rather be ‘right’ than smart! I wonder when business owners will begin to understand that we are now doing business in a world in which consumers WILL rate and review your service, your products, your facilities, your staff, etc. It’s not a question of ‘if they do’ its a question of ‘when they do’ and ‘how many will do it’! The example below that I came across about a Houston restaurant who chose to ask a customer to leave because they didn’t like what she Tweeted is yet another example of a business that doesn’t get it. Instead, the business owner should have had a discussion with the bartender who made the remark the customer found offensive; though he’s entitled to his opinion, the CUSTOMER is entitled to not have to hear it. Customer service and professionalism…need I say more? I lived in Houston many years ago, I don’t recall the restaurants and establishments I frequented as being so anti-customer. Perhaps things have changed; I hope not. One of the best things about living in ‘the South’ was the friendliness of the people. Read and let me know your thoughts. When large egos meets instant criticism, sparks tend to fly in real time. So it proved in a Houston restaurant the other night when the management took exception to a customer’s socially networked opinion. The Houston Press was the first to digest what happened. It seems that Allison Hiromi was having drinks at a place called Down House–perhaps not the cheeriest name for a restaurant. She overheard a conversation in which a bartender said something none too flattering about another Houston bar-owner. The culinary world in Houston–with which I have some small familiarity–is at least as touchy as it is touchy-feely. Hiromi reportedly was not enamored of the words she’d heard. So, as many a a diner does these days, she tweeted that the derogatory speaker–a Down House barman–was a twerp. She also added the slightly off-color hashtag #jackoff. Whether she meant to refer to the great Croatian composer Jakov Gotovac is unclear. What is clear is that the restaurant was graced with a phone call from its general manager, the rakishly named Forrest DeSpain. He wanted a chinwag with Hiromi. You will be tempted to tip your chin into your consomme when I tell you that there now exist slightly different versions of this chinwag. Or at least different versions of its tone. The substance was clear. Hiromi was asked to leave. In what some might see as a heinous reprisal, the restaurant reportedly unfollowed Hiromi on Twitter and even blocked her. You might imagine that there is a personal element here. Hiromi, indeed, has received a Houston Web award for her tweets (Best Late Night Twitterer), so she can’t be described as an ordinary customer. The restaurant business, though, is surely one where criticism is entirely first nature. For many customers, a restaurant only has one chance to get it right. Many restaurants are incapable of doing that on a regular basis. In just the last few weeks, I have been served a cadaver-cold $28 steak, a $10 salad that had been swimming in an indeterminate solution for at least 24 hours, and a $13 glass of cabernet that was more hairnet. To imagine, though, that there aren’t diners who will tweet from the table and offer their instant feelings is to imagine that there is no food so great as that in the Google cafeteria. DeSpain has surely set a trend. Here was a general manager so dedicated that, late at night, he monitored his restaurant’s Twitter feed. Perhaps the next time you’re in Houston–let’s hope it’s on business–you might go to Down House and tweet about the food. I wonder how many courses you’ll last. Posted by StrategicGrowth in Social Media. I’m often asked about the impact of social media on a business, on an industry, and what changes it’s making in how business is conducted. As most of you know, quantifying ROI in social media is not yet an exact science as marketers are used to with radio ratings, tv ratings, etc. However, I recently ran across this video by @EKutsko and @equalman (in social media, of course!) that I thought did an excellent job of explaining the value and putting it in perspective in a way everyone can understand. It also provides some excellent social media statistics that I believe you will find of value. Posted by StrategicGrowth in marketing strategies, Social Media, Strategic Growth Concepts. how can I know if social media is working for us? how can I measure the ROI of social media to know if its worth the time and effort we’re putting into it? there are many social media monitoring tools out there, how do I know what to use to meet our needs? what should I be paying for an effective social media monitoring tool? And there is no one-size-fits-all answer to any of these questions, because that’s really the point, social media is meant to be customized to the company, its goals, its target audience, etc. So we at Strategic Growth Concepts are always on the lookout for new resources that will help us in effectively guiding our clients in obtaining answers to these questions in relation to their own situations. Recently, we’ve found what we think is a excellent resource, a study and resulting infographic published by oneforty that provides an excellent overview of how businesses are monitoring their social media, what’s working, and how much they’re investing in the monitoring tools they’re using. Visit our website to learn about this excellent resource! And if you would like to learn if your firm is effectively utilizing social media to promote your firm and its products or services, sign up to receive our Social Media Audit! Posted by StrategicGrowth in Marketing Plan, marketing strategies, Strategic Growth Concepts. As a consultant to small and mid-sized businesses, I often speak to and work with companies that are run by CEOs who are the original founders of their company and typically the originator of the “product” offered by their firm. In most cases, the CEO is highly knowledgeable about the “product” and usually admits to a substantial lack of knowledge about the less industry-specific parts of their business. Areas such as operations, marketing, accounting, HR, legal and more are beyond their experience – and typically their interest as well. In most cases, they’ve gone into business knowing that they would hire an attorney and an accountant to assist them, however with regard to the more ‘day-to-day’ functions of operations, marketing and HR they just figure it will all come together – sort of a “build it and they will come” mentality. Nowhere is the “build it and they will come” mentality more obvious in these individuals than in the area of Marketing. With rare exception, most of these business owners assume that everyone will see the value of their “product” as easily as they do, and that as soon as it becomes available they will be swamped with customers! Then, before very long, reality begins to set in. It’s typically not very long before the business owner begins to panic; ‘why can’t they see it?’, ‘why aren’t they buying?’ he or she begins to ask. Then there is typically a period where they will spend money on any type of advertising that is thrown in front of them – and the media reps are happy, but the business isn’t becoming any more successful, and now they have a lot less money. Then comes the third stage, this is where they come to someone like me – the outside consultant, and they say, “fix this ASAP before I’m out of business! But by the way, I have very little money to pay you so you need to fix it this month because that’s all the money I have left. Oh, and I don’t want you to do ‘this’, and I do want you to include ‘this’, and make sure that you allocate budget for ‘this’ as well. But other than that, do whatever you need to in order to fix it yesterday”. Now don’t laugh because I promise you that right now some of you are reading this and seeing yourselves in this story! My radio/TV/newspaper/yellow pages (use your preference) rep said theirs is the only type of advertising I need, are they right? How do I know how much money I need to spend? How do I know what type of advertising is going to be interesting and get the attention of my potential customers? Do I need to use Facebook? Everyone is telling me I need to use Facebook! Second, FACE YOUR FEAR; don’t pretend that the need to Market your business doesn’t exist and hope it will go away. Third, start educating yourself about the types of marketing strategies available to you; what they cost, how they’re used, which types of potential customers they appeal to, etc. Fourth, do an analysis of your existing customer base and try to identify some key factors that your ‘best’ customers have in common and then plan to go in search of more just like them. Fifth, bring in an outside consultant. It doesn’t have to be a long-term arrangement, just let them help you analyze your business, your customers, your market, and your industry and then develop a Marketing Plan for you based on their findings, your goals, and your budget – and then YOU implement the plan with your newly gained knowledge. To help you gain clarity on the fact that you must be your company’s best marketer, I refer you to a recent article in the American Express Open Forum entitled, “Attention Small Businesses: You’re ALL in the Marketing Business“. This is an excellent article that will help you understand the importance of the company CEO having a strong level of involvement in Marketing on a daily basis. Hopefully, you will all now FACE YOUR FEAR and become alot more involved in Marketing your business. The author, Linda Daichendt, is Founder, CEO and Managing Consultant at Strategic Growth Concepts, a consulting firm specializing in start-up, small and mid-sized businesses. Linda is a recognized small business marketing expert with 20+ years experience in a variety of industries and an award-winning blogger on such topics as marketing a small business, mobile marketing, social media marketing, and virtual events. Linda is available for consultation and can be contacted at linda@StrategicGrowthConcepts.com. The company website can be viewed at www.StrategicGrowthConcepts.com. 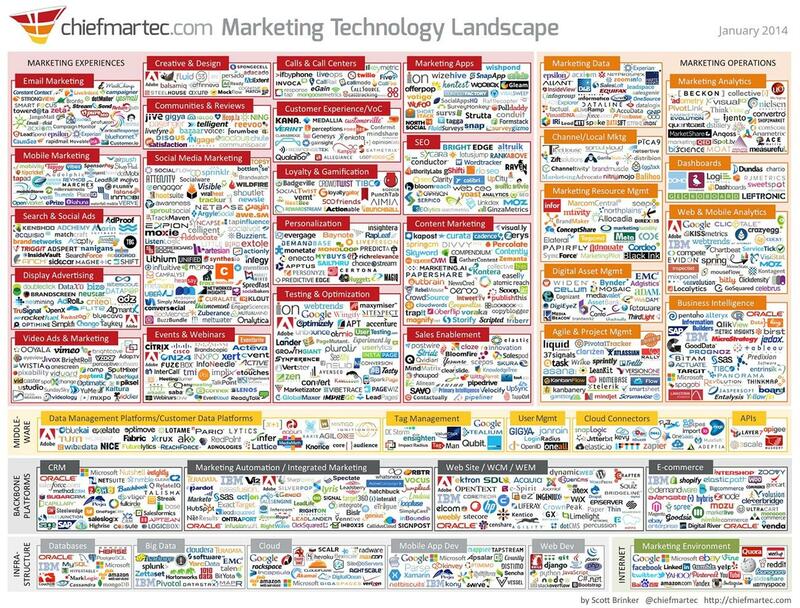 Posted by StrategicGrowth in mobile, Mobile Marketing, The Mobile Marketing Review. Recently, on the monthly podcast I co-host, The Mobile Marketing Review, we reviewed the mobile campaign of a U.S. university who had used SMS/Texting to aid incoming freshman in adjusting to campus life. My co-hosts and I were quite gratified to see mobile marketing technology being used in such a non-traditional way. The college, The University of Louisville, wasn’t trying to sell them anything – instead, they were trying to provide a service thru a medium that incoming freshman are most actively involved with and most comfortable with. Personally, while I certainly believe that mobile marketing technology is incredibly important and valuable for increasing company revenue, I also believe it has many other uses that also can be of tremendous value and I’m very glad to see firms (and in this case, universities) starting to embrace those alternative uses of the technology. I’m also aware that mobile initiatives in K-12 education are also picking up steam. 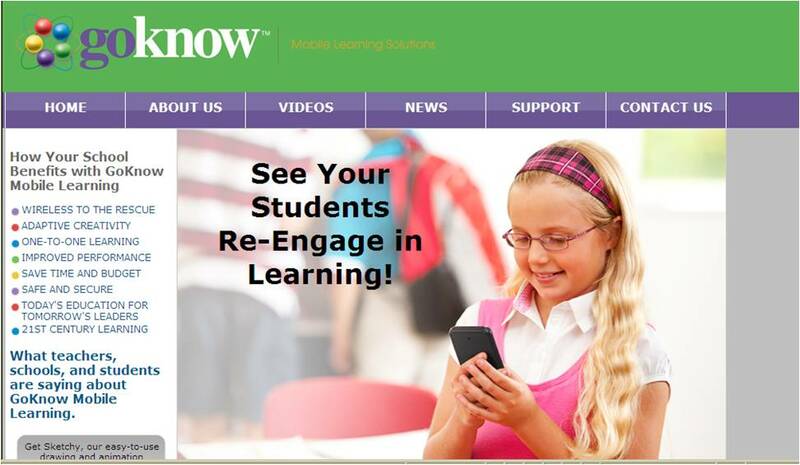 A Michigan-based firm, GoKnow Inc. provides educational software for use in the K-12 classroom. They have been conducting test studies in school systems all over the country for several years, and the results have been astounding – across the board there is typically a 25 – 30% increase in test results from those students who are using the mobile technology learning tools! I believe the opportunities that mobile technology are providing us to improve education, and the way we conduct business are only now starting to be explored. And I, for one, look forward to a future where every student who wants an education can have access to one because they are able to be provided with an inexpensive mobile device that contains software providing them the tools needed to learn, to communicate with teachers and other students, and offers them opportunities to explore the world. A recent study by InsightExpress provides some interesting insights into the effectiveness of Mobile Advertising by examining it over the course of a 3-year period. An article written by Steve Smith for Mobile Insider, reviews the study findings and provides additional analysis, including comparisons to the effectiveness of Internet advertising in its period of highest effectiveness and today. If you’ve been wondering whether or not mobile advertising really lives up to the glowing reviews you’ve been hearing, this article should provide the answers you need. 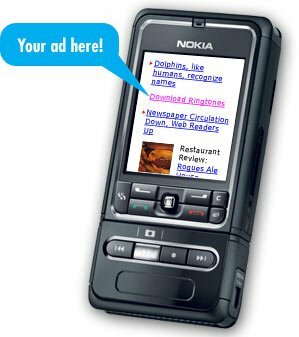 There once was a time back in 1995 when we all clicked on ad banners just to see what happened. Remember when Internet purists complained that the arrival of advertising to their sacred compound would ruin it for everyone? No doubt there are digital utopians who still believe that commercial interests have warped the dream of a truly open freeway of information. Arguably, the Web has exacted its own revenge on rampant commercial development. Curiosity about online advertising has evolved into blindness to ads. Almost every format of online advertising since the banner has seen its halcyon beginnings, with impressive recall and clickthrough rates eroding over time. We come to expect now diminishing returns from new platforms. How many of us clicked on every new iAd we saw over the summer just to see what novel execution Apple’s collection of cajoled agencies came up with? How many do now? But one of the advantages of mobile media and advertising has been the focus and limited clutter the medium allows. Because of this limited screen real estate and larger mindshare, we have tended to see mobile ad effectiveness maintain its edge longer than some formats that preceded it. InsightExpress has just run a fascinating comparison of mobile vs. online brand impact from advertising. Aggregating results from campaigns over the last three years, InsightExpress shows that on fundamental branding metrics for ad awareness, mobile produced a 23% lift compared to 8% for online campaigns. While awareness produced some of the biggest differentials between mobile and Web, message association also showed a 14% delta for mobile vs. 3% for Web. Surely awareness and messaging are functions of the increased focus the user has on a mobile device and the less cluttered environments that make ads simply more visible here. But the most interesting metric is purchase intent, which enjoyed an 11% lift on mobile compared to 3% on the Web. The best news is that mobile has maintained its effectiveness, and even improved its strength, over the course of the last few years. When tracked on an annual basis, for instance, the norms for mobile campaigns saw unaided awareness lifts of 8% in 2007-2006, 8% again in 2008-2009, and 10% in 2009-2010. Purchase intent lift on campaigns was 8% three years ago, 13% two year ago and 13% again last year. Another important point about mobile ad impact is its resilience across devices. Despite our tendency to believe that the bigger screen and lush app environment of smartphones are behind the recent push by mobile advertising, the data suggests less of an effect than we presume. In looking at the brand impact deltas across devices, smartphones had their greatest advantage over feature phones in raising mobile ad awareness (39% vs. 28%), but in most other metrics the difference was more incremental. In fact in aided awareness, feature phone campaigns shows a 9% increase compared to 7% for smartphones. This leads me to think that the sustained and superior branding impact of mobile campaigns has as much to do with user focus and an ad’s prominent, singular presence on a screen than it does with the actual size and sophistication of that screen. For more detail from the InsightExpress work, you can grab graphs here. I often receive the question, “I don’t market my products/services to consumers, I work in the B2B space. How can mobile technology and mobile marketing help me increase my business? Isn’t it just for marketing to consumers?” Therefore, I thought the results of a recent study by Forbes Insights would provide information that those in the B2B space would find of value. Senior-level executives have been reliant on mobile for years, giving them a lifeline to work while on the go or at home. But as smartphones become more entrenched into all aspects of life for consumers and businesspeople alike, and younger, more tech-savvy executives move up the ranks, mobile opportunities for business-to-business (B2B) marketers are opening up. Among C-suite executives surveyed in October 2010 by Forbes Insights, 82% had a smartphone—far above smartphone penetration in the population as a whole, which eMarketer estimates at 19.4% this year. And for a majority of executives, their mobile device is considered their primary business communications tool. Only respondents over 50 tended to disagree with that statement. The oldest respondents were also the group least comfortable with making a business purchase via mobile, though even 48% of over-50s said they were comfortable. Overall, nearly two-thirds of respondents would buy items for work over the mobile web, a proportion that reached 78% among executives under 40. Most US executives were also using mobile apps for business purposes. There was a dramatic drop in app usage among the oldest respondents, but a majority of all those under 50 used both free and paid B2B apps at least occasionally. And the executives are paying attention to ads on their mobile devices as well. A majority (57%) said they noticed mobile advertising, and nearly as many had clicked on mobile web ads (56%) and paid search ads (51%). “As optimistic as this may sound to marketers, senior executives also present a warning to would-be advertisers: 53% of executives—evenly distributed across age groups—indicate that they find mobile ads more intrusive than typical web ads,” cautioned the report. “As such, mobile marketers need to be careful to ensure they do not cross the line between welcome or at least acceptable advisory versus unwanted interruption.” Blog Editors Note: The previous statement reinforces the need to insure that all Mobile Marketing guidelines and best practices are strictly adhered to in order to insure that your firm is not perceived as sending SPAM via mobile; the resulting penalties and negative response received by your firm can be subtantial when guidelines are not appropriately followed. If you would like to utilize mobile technology to market to c-level executives, let Strategic Growth Concepts guide you thru the process to insure you are compliant and that results are maximized. Posted by StrategicGrowth in email marketing, location-based technology, marketing strategies, Marketing-changing technology, mobile, Mobile Marketing, Social Media, Strategic Growth Concepts, Virtual Technology. Posted by StrategicGrowth in mobile. A recent Nielsen Company report revealed that U.S. consumers rate Apple and Google Android phones as the most desirable, but men, apparently, prefer Android OS phones, whereas women prefer the Apple iPhone. Smart phones, which have a nearly 30 percent penetration in the U.S. mobile device market, are led by the Apple iOS (27.9 percent), RIM’s BlackBerry (27.4 percent) and Android (22.7 percent). Of consumers queried about plans to upgrade their current phones, 35 percent picked iOS, 28 percent Android and 15 percent BlackBerry. Interestingly, more feature phone owners were interested in migrating to Android (28 percent) than Apple (25 percent) and left BlackBerry in the dust (11 percent). The preference by gender was also clear: Of females looking for a new smart phone, 30.9 percent opted for the iPhone, and only 22.8 percent are interested in Android. For men, however, 32.6 percent want an Android phone, and 28.6 percent want an iPhone. In the 18-to-24-year-old group, 35.9 percent of respondents opt for the iPhone, with 32 percent leaning toward Android. The difference narrows in the 25-to-34 group (31.9 percent versus 29.8 percent) and flips for the 35-to-52 group (27.4 percent for Android and 26.3 percent for Apple). 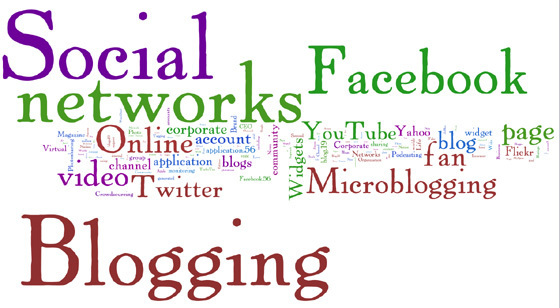 Posted by StrategicGrowth in Social Media, Twitter, Web 2.0. Great news recently announced by Twitter for all of you trying to effectively measure the ROI of your social media. 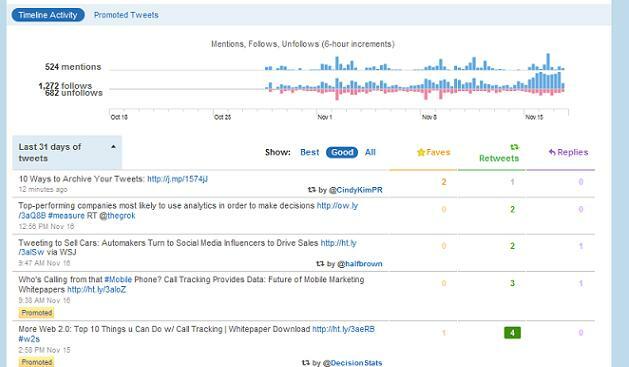 Twitter’s new Analytics Tool is detailed quite well by Diana Freeman of Hubspot with graphics by Mashable. See below. Want to be able to measure your Twitter ROI? Would you like to see how many clicks, retweets, replies, and faves your tweets have received? Soon you’ll be able to, right on Twitter. Twitter has started inviting a select group of users to test their new Twitter Analytics dashboard. Users will be able to see all sorts of data about their account, such as which tweets are most successful, which tweets caused people to unfollow them, and who their most influential retweeters are. This view lets you see your tweets broken down by filters defined as Best, Good, and All, and see which of your tweets gained the most traction in terms of retweets, replies, and faves. This view measures the ROI of all your promoted tweets, with detailed stats such as impressions, clicks, retweets, and replies over time. Twitter hasn’t yet specified when they’ll be rolling out Twitter Analytics to all Twitter users. Although the analytics feature is expected to roll out by the end of 2010, Evan Williams did not elaborate on the official analytics product at the Web 2.0 Summit in San Francisco. 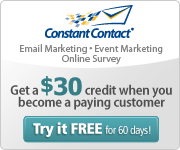 Posted by StrategicGrowth in marketing strategies, mobile, mobile coupons, Mobile Marketing, Strategic Growth Concepts. As someone who regularly works in the Mobile space to help clients develop and implement their mobile strategies, I have to say, he’s quite correct. Study after study indicates that consumers are heavily embracing the use of mobile technology, and are interested in being able to utilize their mobile devices to find convenience and improve the productivity of their lives. As more and more demands are made on their time, consumers are seeking ways to engage with retailers in ways that are convenient for them; chief among those methods of engagement is mobile. Unfortunately, the vast majority of retailers – large and small – have yet to catch on. Smith cites new research from Brandanywhere’s new Mobile Omnibus Study, which polled 7,000 sites on 10 devices, and found that only 4.8% of U.S. retailers had mobile-specific Web sites. The top-tier retailers are faring slightly better, but not well. Almost 23% of the major retailers, as defined by traffic levels from Alexa, had mobile Web sites. When broken down by verticals, the results across all merchants are even worse. While auto parts retailers (20.78% with mobile Web sites) and auto dealerships (15.66%) were relatively more mobile-ready by comparison, department stores (3.41%), clothing and shoe stores (1.61%) and grocery stores (1.60%) were pathetic. Luth and Brandanywhere also asked how consumers prioritize the functions they most need on a retailer’s mobile presence. Interestingly, transactions were not among the most popular features. Foremost, they wanted to know about the special offers and coupons available – tools that could help them shop smarter and more cost-effectively. The second most desired feature was product pricing. Store location came third, followed by product information. So, we ask you, ARE retailers missing the boat in driving revenue? Our experience at Strategic Growth Concepts, the Brandanywhere study, and many other studies indicate an absolute YES! Retailers – large and small – must begin to understand that consumers EXPECT them to be mobile. They EXPECT to communicate with them via mobile, and they EXPECT retailers to make their lives easier by enabling them to obtain information about and from their firms via mobile. they assume it’s cost-prohibitive and that if they don’t have a substantial budget to invest in their mobile effort that they won’t be able to enter the mobile space. THEY’RE WRONG! they don’t know where to start. WE CAN HELP! they assume it’s extremely complicated to get started and that it requires massive amounts of time and effort. AGAIN, THEY’RE WRONG! they assume mobile is just a passing fad and it will soon lose the interest of consumers, and that they’ll be able to be glad they didn’t waste their time and money getting involved in it. THEY COULDN’T BE MORE WRONG! So let’s be clear, consumers have spoken; study after study indicates that mobile will continue to grow substantially – particularly in the next 3 – 5 years – and will become a major driver of our economy. Those that do their homework and start integrating Mobile Technology into their operational and marketing strategies now will find themselves achieving substantial market share increases over their competitors who choose to ignore Mobile. Which will you be – the retailer who embraces mobile and reaps the benefit? Or the retailer who conducts business as usual – and gets left behind? The author, Linda Daichendt, is Founder, CEO and Managing Consultant for Strategic Growth Concepts, a marketing / management consulting firm focused on start-up, small and mid-sized businesses. Areas of specialization include: Mobile Technology Optimization and Marketing, Social Media Marketing, and Virtual Events production. Linda is a recognized small business marketing expert with 20+ years of experience in a wide variety of industries. Linda is available for consultation on Mobile Technology Optimization and Marketing and other topics, and can be contacted at Linda@StrategicGrowthConcepts.com. The company website can be viewed at www.StrategicGrowthConcepts.com . For more information on Mobile Marketing please visit the Mobile Marketing section of the Strategic Growth Concepts website. Posted by StrategicGrowth in marketing strategies, mobile, Mobile Marketing, The Mobile Marketing Review. Have you thought about using Mobile Marketing to promote your business? Have you wondered how it works, or what your customers will REALLY think about it? If you’re like a lot of small business owners these days, you’re hearing a lot about Mobile Marketing and wondering if it has any value for you and your business. You’ve probably heard the Mobile success stories that are all over social media, but that doesn’t really tell you how to mount an effective Mobile campaign does it? If you’re interested in learning what businesses throughout North America and around the world are doing with Mobile Marketing – and how you can benefit from others’ experience, please join ‘The Mobile Mavens’ on the The Mobile Marketing Review. From idea conception, to tie-ins with other marketing mediums, to the opt-in messages they’re using and how to make them most effective, as well as the results they’re getting. You can follow ‘The Mobile Mavens’ on each show as they evaluate Mobile campaigns from businesses small and large around the globe, and gain many take-a-ways that you can put to use in your own Mobile campaigns! And, if you’re already using Mobile Marketing to promote your business, the Mavens are currently on the search for their next featured campaign to review. If you would like your company’s Mobile campaign to be considered for inclusion on the show be sure to submit it to the The Mobile Marketing Review.